Guests of the Jozankei Tsuruga Resort Spa MORI NO UTA are welcomed by the site of a distinctive tree-inspired cast iron hearth in the hotel’s Forest Lounge. 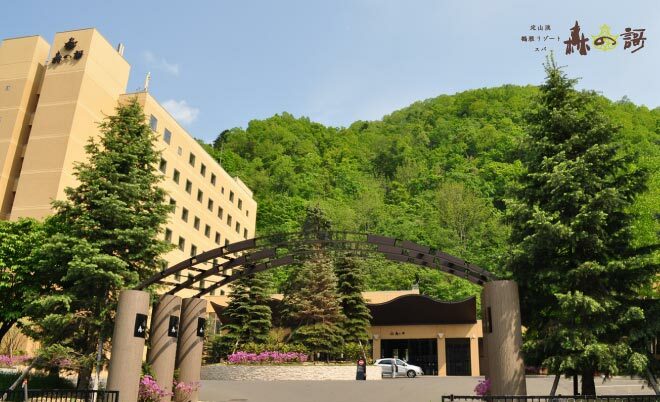 Situated in the midst of a picturesque gorge and old-growth forest, the hotel features a wide variety of forest-inspired touches found in its Forest Terrace, Forest Bar, guestrooms, esthetic spa, outdoor hot spring baths, and fine dining opportunities. Join us to discover a hotel experience like no other.